What Workable Triggers and Actions are Supported? 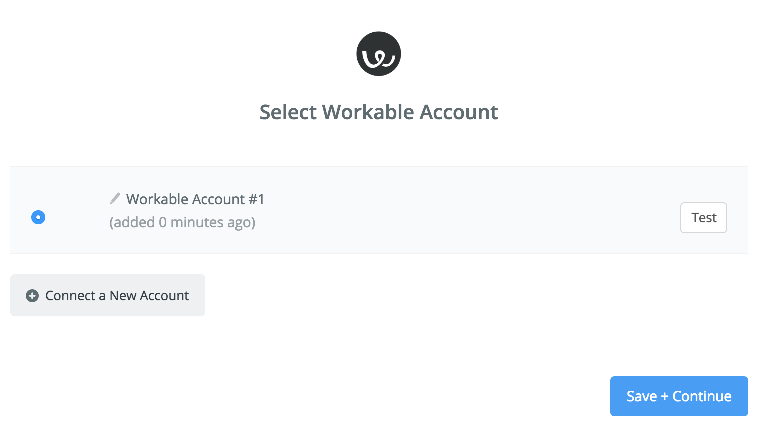 To get started with Workable on Zapier, first you will need to click to connect your Workable account to use with your Zap. 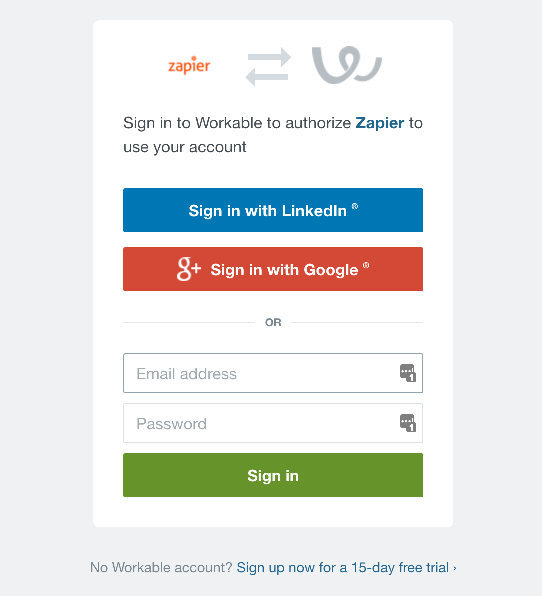 After allowing access, you can now use this account with Zapier! Updated Candidate Stage - Triggers when a candidate moves to a new stage. New Candidate - Triggers when a new candidate is created. Optionally, you can specify a specific job and stage to limit by. New Disqualified Candidate - Triggers when a candidate is disqualified. 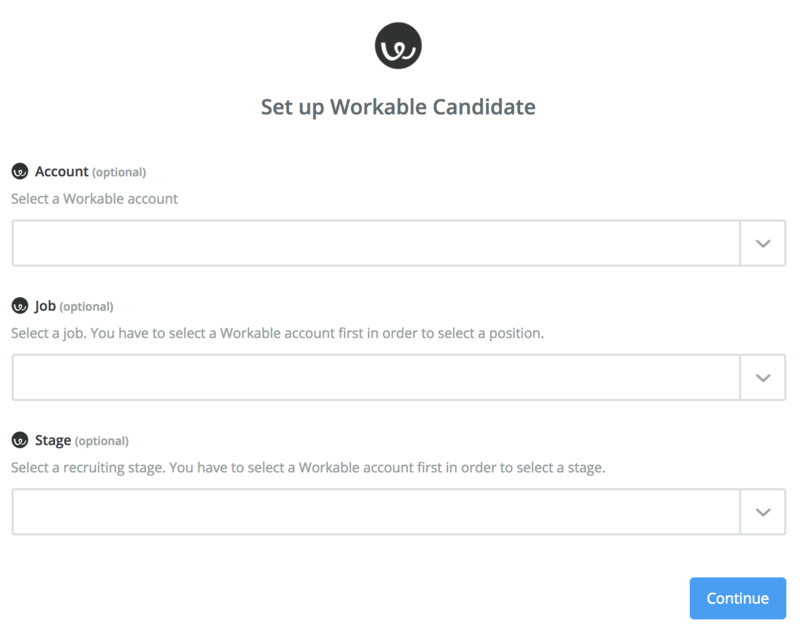 Find Candidate - Find a candidate in your Workable account. Find Job - Finds a published or closed job in your account by title. Add Tag to Candidate - Adds one or more tags to a selected Candidate in Workable. Create Candidate - Creates a new candidate in a Workable position. 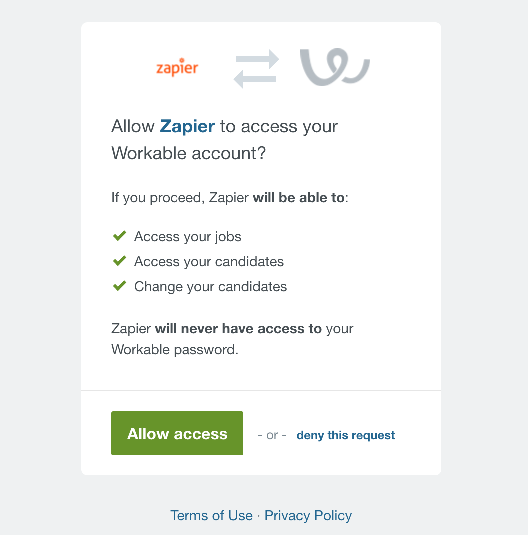 Notifications about new candidates are sent to Zapier within 5 minutes of the candidate being created. If the candidate doesn't meet all of the criteria chosen on the "Set up Workable Candidate" page at the end of that delay window, no notification is sent.